LOS ANGELES , CALIFORNIA, USA, April 9, 2019 /EINPresswire.com/ — EDWARDS-LOWELL BEVERLY HILLS , WHO FOR MORE THAN 80 YRS HAS SERVED THE BEVERLY HILLS COMMUNITY AND THE MUSIC AND ENTERTAINMENT INDUSTRY, BECOMES A PREIMERE EVENT SPACE AND ART GALLERY. Beverly Hills Ca – EDWARDS-LOWELL will now be known as THE EDWARDS-LOWELL GALLERY (E-L GALLERY), still located at the same address 8712 Wilshire Blvd. in the EDWARDS-LOWELL BUILDING in Beverly Hills, Ca. Edwards-Lowell for years has been used as a location for charity events, receptions, art showings, etc, now its official, THE EDWARDS-LOWELL GALLERY will now officially be available to have events, receptions, art showings, charity events, for up to 250 people. It is a prestige location and an amazing place for your next intimate reception or party. 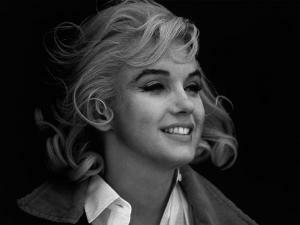 ANDREW WEISS, THE OWNER OF THE LARGEST MARILYN MONORE COLLECTION IN THE WORLD WILL HOLD A VERY SPECIAL PHOTO EXHIBIT AND SALE. On what would have been Marilyn’s 93rd birthday there will be a unique opportunity to view and purchase rare and hand signed photos of Marilyn Monroe from the photographers who shot these now iconic photos. July, 2019 the EDWARDS-LOWELL GALLERY will be used for a very hot street art exhibit by one of the top premier street artists today. The EDWARD-LOWELL GALLERY will continue to offer cold fur storage, fur cleaning and e-purposing furs into new items. The E-L Gallery will also feature the largest VINTAGE FUR COLLECTION and movie and sports memorabilia. Previous Previous post: Low Flyers Comedy Movie dropped by Major Movie Distributor because it was 'Too Offensive'.